Who Is Warwick Davis Playing In STAR WARS: THE FORCE AWAKENS? | Warped Factor - Words in the Key of Geek. Who Is Warwick Davis Playing In STAR WARS: THE FORCE AWAKENS? Star Wars: The Force Awakens will be welcoming back many stars of the original trilogy, but probably none of them is as eagerly anticipated as Warwick Davis. Debuting in Return of the Jedi, Davis stole the show as the young Ewok, Wicket. George Lucas was so impressed that he immediately scrapped his plans to shoot the next Star Wars motion picture and instead concentrated on two hugely popular Ewok centric made-for-TV movies, both starring Davis. Warwick Davis is often credited as being "the best thing" about Star Wars: The Phantom Menace. 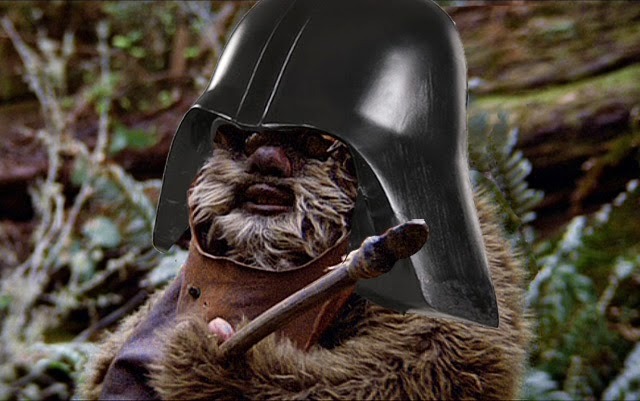 His appearance as a pod-race spectator lifted the otherwise dull movie, but fans really wanted to see him reprise his most famous role, that of Wicket W Warwick. And now, thanks to the website Albino Review, we have our first confirmation that Davis will indeed be stepping back into the Ewok costume, AND not only that his role will be a pivotal one going into Star Wars Episode VIII. "When it came time for JJ Abrams to, what he likes to refer to as, 'pillage the past' it was clear that Wicket needed to included, but we all knew that it had to be a natural re-occurrence. So pulling on threads from Return of the Jedi we will see a flashback scene to Darth Vader's funeral. 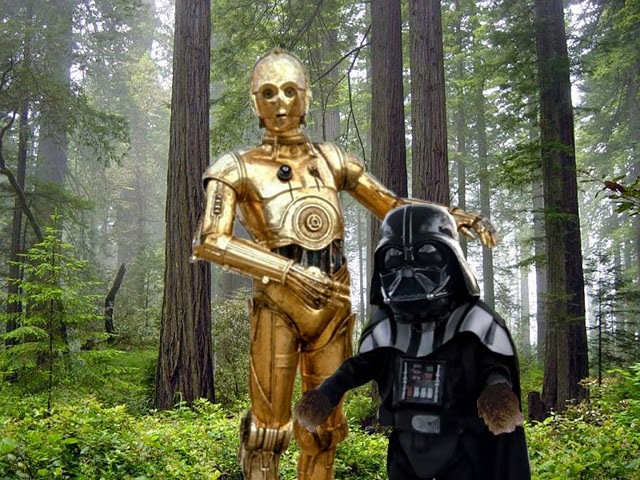 Then, after the Sith Lord is buried on Endor, young Wicket starts to find himself visited by the force spirit of Anakin Skywalker, guiding him towards the dark side. Episode VII will conclude with Wicket locating Vader's remains and beginning his progression towards 'Darth Wicket'"
Albino Review also reveals that the working title for Star Wars: Episode VIII is The Diminutive Threat, and also pointed out that JJ Abrams has chosen not to return to direct that movie, allegedly stating that "someone else can work that sh*t out".